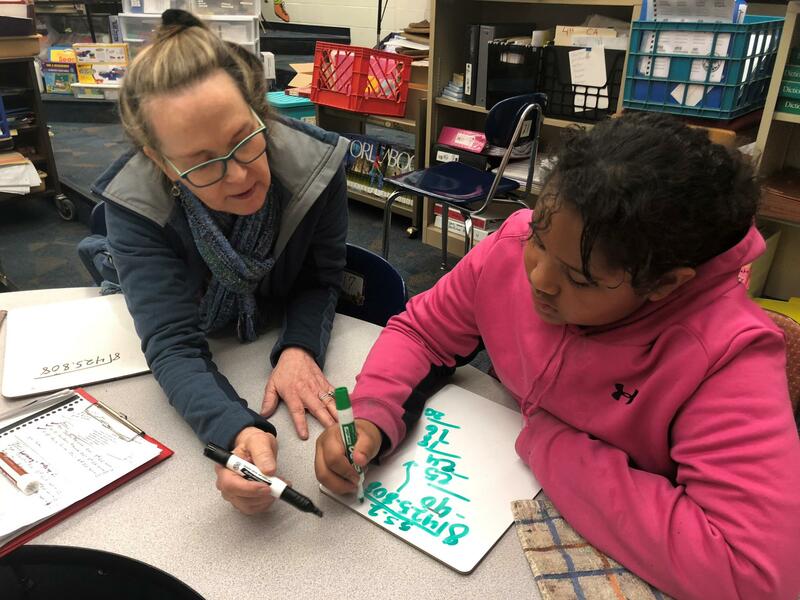 A tutor helped students at Pitcher Elementary prepare for state tests last spring. The test scores and district report cards were released today. And that’s exactly what KCPS did. 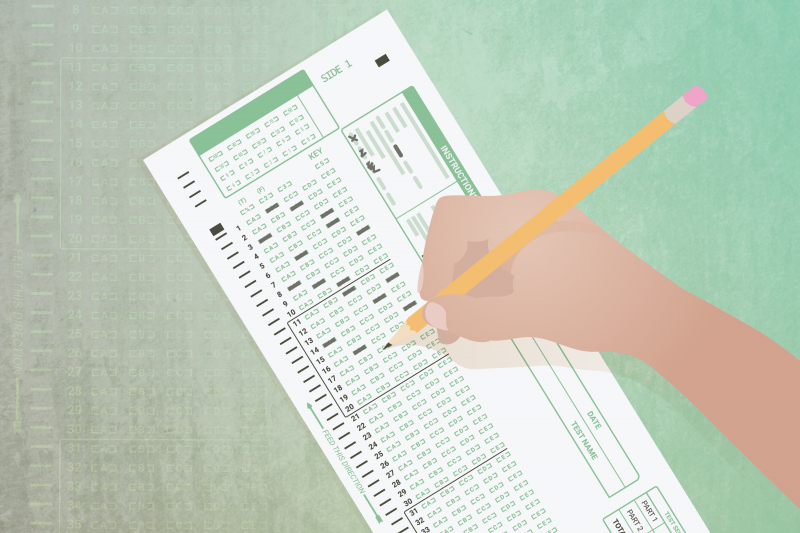 The new math and English language arts tests Missouri students took last spring are widely seen as more rigorous than the assessments they replaced. Scores were expected to drop, and fewer than half of public school students passed. But KCPS lost less ground against the state average than other districts did. Bedell said efforts to align the district’s curriculum to the Missouri Learning Standards, the grade-level expectations for students, have paid off. Before, KCPS focused on routines and procedures, and there was a mismatch between what teachers were teaching and what the state wanted students to learn. “So no matter how hard a teacher worked, they weren't going to get the kind of results that we're starting to get,” Bedell said. A student at Pitcher Elementary in the Kansas City Public Schools practices long division before state tests last spring. State Board of Education President Charlie Shields has said he’ll consider full accreditation for KCPS this spring. The district’s prospects look good, and if anyone deserves to be ecstatic, it’s Bedell. He’s credited with bringing stability to a district that seemed destined for state takeover when it lost accreditation in 2011. Enrollment is up for the first time in decades. KCPS is actively courting middle-class families who wouldn’t have considered the district an option a few years ago. If Bedell stays through the 2019-20 school year, he’ll be the longest-serving superintendent this century. Bedell is happy. But he also knows the work isn’t done yet. “That’s not my end game as superintendent. The truth is, we’re not going to stop until we’re performing at or above state average. I want our people to keep their guards up and continue to work hard. Because accreditation is one thing. We want to compete at the national level,” he said. The state board isn’t expected to take up accreditation for KCPS and other districts until its March 26 meeting.